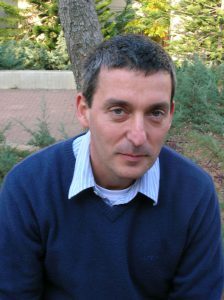 Ady Arie is a Professor of Electrical Engineering at Tel Aviv University, Israel. He received his Ph.D. degree in Electrical Engineering from Tel-Aviv University in 1991. Between 1991 and 1993 he was a Wolfson and Fulbright postdoctoral scholar at Stanford University, U.S.A. In 1993 he returned to Tel Aviv University, in 2006 he became a Professor of Electrical Engineering and in the years 2013-2017 he served as the Head of the School of Electrical Engineering. Since 2015 he is the incumbent of the Marko and Lucie Chaoul Chair in Nano-Photonics. In 2016 he won the Kadar Family Award for excellence in research. Prof. Arie is a Fellow of the Optical Society of America. His research in the last years is in the areas of nonlinear optics – in particular periodic and quasi-periodic nonlinear photonic crystals, nonlinear beam shaping and control – as well as in electron microscopy and nano-photonics.